Ulka Gupta, the girl who mesmerized the television audience with her performance in the popular TV soap Jhansi Ki Rani, is making her big screen debut with ‘Rudramadevi’ as a young princess. 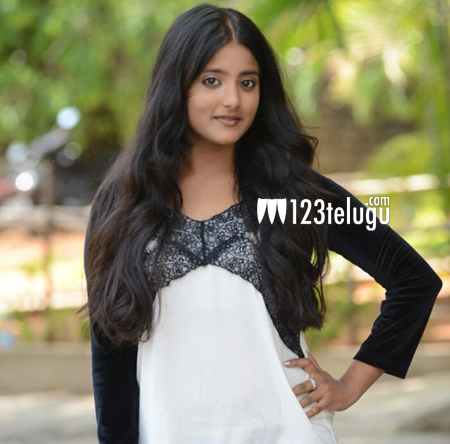 Speaking at an event, Ulka revealed that her favorite actors are Mahesh Babu, Allu Arjun, Nithiin and Akhil and it would be a dream comes true if she gets to act with her favorite actors. Ulka further added that she is quite happy to receive the compliments from Stylish star Allu Arjun for her sword fighting and horse riding skills on the sets of Rudramadevi . Apart from Rudramadevi, Ulka Gupta is gearing up for her maiden film ‘Andhra Pori’ opposite Akash Puri. This movie will hit the screens on May 15th, 2015.